Practitioners and researchers have emphasized the importance of combining “Big Data insights” and “Thick descriptions” to support the decision-making process. However, organizations face challenges in the combination of these approaches. This paper suggests a guideline is necessary to provide clarity to the dynamics between “Big Data insights” and “Thick descriptions”. 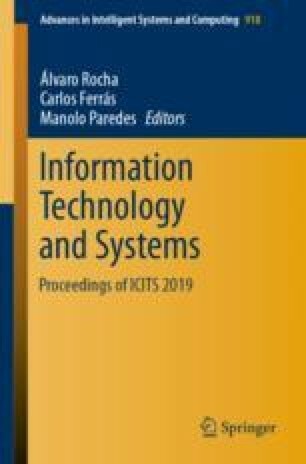 Thus, this paper presents a four steps conceptual Framework to support in the planning stage of “Big Data insights” and “Thick descriptions” combination. This Framework is composed of paradigms which provide ways to ponder the appropriateness of each approach. From the literature review, paradigms detailed in four informative tables were developed. A study case in education management illustrates the Framework application. Results have shown the Framework potential to support the planning of the combination of “Big Data insights” and “Thick descriptions” combination in educational management. This work was supported by CAPES – Brazilian Federal Agency.